An excellent introduction to the concept of the Chakra System covers the 7 main Chakra Centers. What the Chakra system is and what it does will be discussed. Each chakra will be described with its location; color and emotional correspondence; and impact on the physical structure. Learn how you can influence the balance of each chakra with certain gemstones and essential oils. . You will take a fun self test that gives you an idea of which of your own chakras are strongest and weakest. You will discover and read about your particular “Chakra Personality”. No prior knowledge is necessary to enjoy this class. For your further reference, an easy to use hardback Chakra book is included in your class fee. The Chakra System is a profound system for spiritual and emotional growth. These vortexes of moving subtle energy are information centers that take in, exchange, process, interact and affect all that you are. They are a lens through which you can look at your life and the world with new perspective. There are 7 major Chakra centers in the human body that create the framework of who you are and how you express yourself. Realizations of what you are made of will be the bridge to healing. You are guaranteed to end this series with a broader understanding of yourself and your relationships and a new view of circumstances in your life. I believe this to be a complete and powerful body of knowledge like no other. A general idea of the chakra system will be helpful. Feeling sluggish or unfocused? Can’t seem to start or finish a project? Have a dream going unfulfilled? Learn how the vital currents of energy within and between the chakras provide pathways to manifesting. Liberation lifts you to the refined source of vital energy where you encounter insight, creative inspiration, connection to Divine guidance. The Manifestation Current descends from that vital source bringing you into a state where you can act and attract in the physical world to create what you are committed to manifest. The story of the creative energy dwelling in the currents of Chakra system will bring a greater understanding of what might be blocking your progress and how better to make your dreams and aspirations a reality. If you would like to work one on one…here are a few options for you. If you feel you need something “custom made”, just call for a consultation. Deep Chakra and Aura Balancing – The chakras and aura respond very well to energetic clearing and balancing. 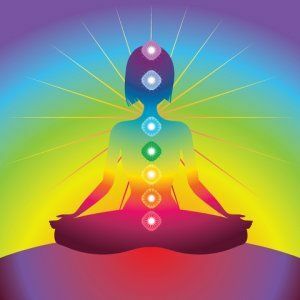 There are techniques to reach deep into the energy of the chakras to ascertain and balance for optimum results. The aura surrounds and supports the entire energy field and therefore is sensitive to disturbance from outside as well as being affected by the state of your chakra energy. Having a thorough clearing and balance in these vital energy fields is supportive, healing and a means to get or keep you on track. This is a table session. 1 hr. $65 as a stand alone therapy. WHAT DO YOUR CHAKRAS SHOW ME? Kathy Duffy, Reiki Master Teacher/ Energy Field Specialist/ Intuitive Chakras are part of the human energy field…the part of you that develops from birth (and even before) constantly downloading and processing your life experiences. Life experiences = chakra energy. The energy that moves in your chakras broadcasts throughout your physical, mental and emotional aspects influencing them in powerful ways. When there is a disruption in the flow within the chakra it has a very real effect on you. A chakra can be congested, overactive, underactive, weak, blocked, exhausted. That condition can be chronic and have long term effects…or temporary and have immediate effects. A disrupted chakra also affects your aura or energy field that surrounds and holds you. That can weaken you and leave you vulnerable to another’s energy. When I do an assessment of your chakra energy I tune into you and feel/sense/see your energies. I allow information to flow from that and let you know what I intuit. The information here can tell me how to advise you in your achieving your goals, whether they are physical, mental or emotional changes you want to make or perhaps how to move forward. Learn and practice energetic methods for balancing the chakra system. We offer various workshops for instruction and practice. Different approaches with a common goal – balance. Each modality is explained, explored and individually practiced by class attendees. A balanced energy communicates well-being. Check our schedule calendar for descriptions and dates of upcoming workshops. These are fun classes and no elaborate knowledge of the chakras is required for you to attend and enjoy. We all exist within our own energy space. The auric field is a biofield of energy that surrounds the physical body and intimately interacts with the environment and the energy of others. You feel much better if your energy field is defined and has healthy boundaries. When you become energetically vulnerable through negative interactions (bad relationships; conflict; criticism etc.) or persistent exposure to injurious circumstances (job or family situations; chronic illness; rigid rules, etc.) 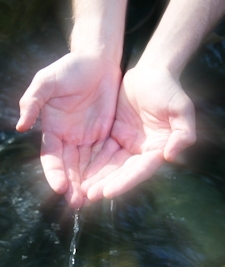 you easily become depleted and even traumatized by allowing circumstances and/or other people to claim your energy. A torn, bulging, depleted, traumatized or otherwise dysfunctional aura space will leave you out of sorts, emotionally spent and just simply not in balance. 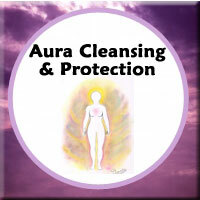 It is easy to strengthen your aura field and you will learn how to clear, cleanse and protect your personal space. You will be immediately aware of how it feels to be inside an intact and protected energy field as we practice simple techniques. Check Calendar for class or inquire for personal session.